Born: October 30, 1873 in Sandwich Ma. 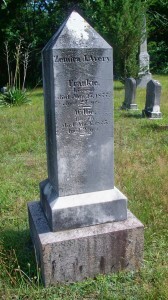 Died: January 6, 1875 in Sandwich Ma. at 2 yrs.